As bear experts from around the world meet at the International Bear Association conference, a research expedition is casting light on the little-known polar bear population of Russia’s Kara Sea. Specialists from WWF and the A.N. Severtsov Institute of Ecology and Evolution placed a satellite collar on a female polar bear on Vaigach Island, which straddles the Kara and Pechora Seas. 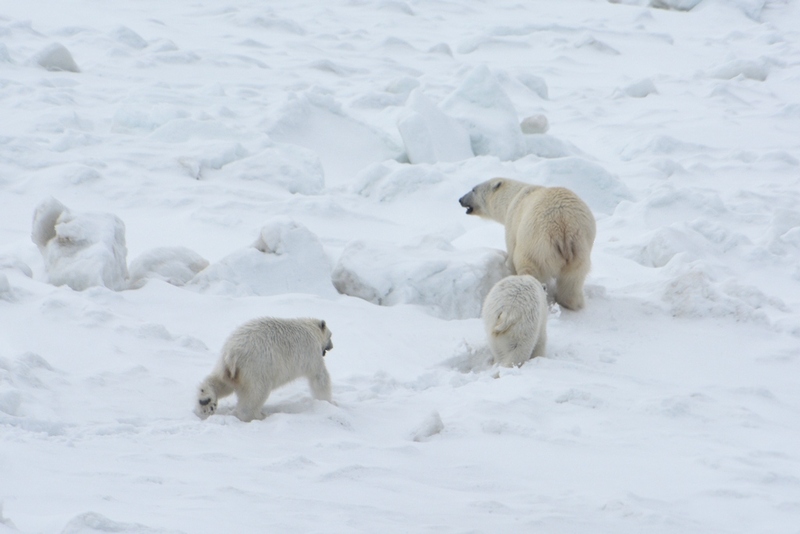 For the first time, researchers can follow in the tracks of a Vaigach polar bear in real time. Daily data from the collar allows researchers to track the daily, seasonal, and annual movements of the bear and her two cubs. In addition, this information provides insight into how the region’s polar bears are affected by changes in their sea ice habitat. Like almost all of the Arctic, Vaigach Island has experienced higher than normal temperatures this winter, contributing to the loss of polar bears’ sea ice habitat. The region is also facing growing human activity. "It is an area of ​​active shipping, numerous oil and gas fields are being developed nearby”, says Ivan Mizin of WWF-Russia. “Therefore it is very important to have complete and accurate information about the animals and their movements to better protect them, and local people, from conflict". The Vaigach expedition is one of several funded by WWF this year to fill in the knowledge gap by surveying polar bears from the Barents Sea to the Chukchi Sea. Russian and US scientists are now analyzing information from air monitoring of the Alaska-Chukotka population of polar bears and seals, using thermal imaging and high-resolution digital cameras. 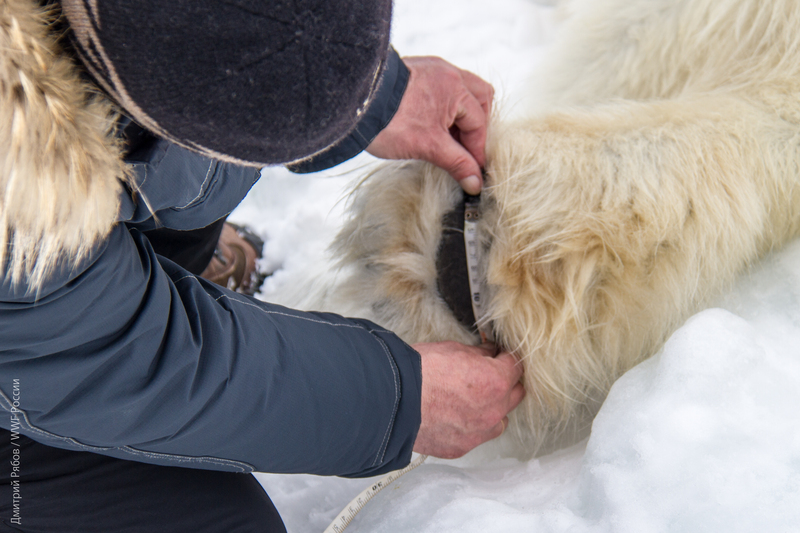 Researchers measure a polar bear's paw. Vaigach Island, Russia. Polar bear 111355 and her two cubs. Vaigach Island, Russia.